Continental’s Tire division will be joining hands with Kordsa, the Sabanci Group’s textile reinforcing materials business to make the process of tyre production greener or more sustainable. The two companies will work on techniques to bond textile reinforcing materials to rubber-based compounds like replacing resorcinol and formaldehyde with chemicals that are more environment friendly. 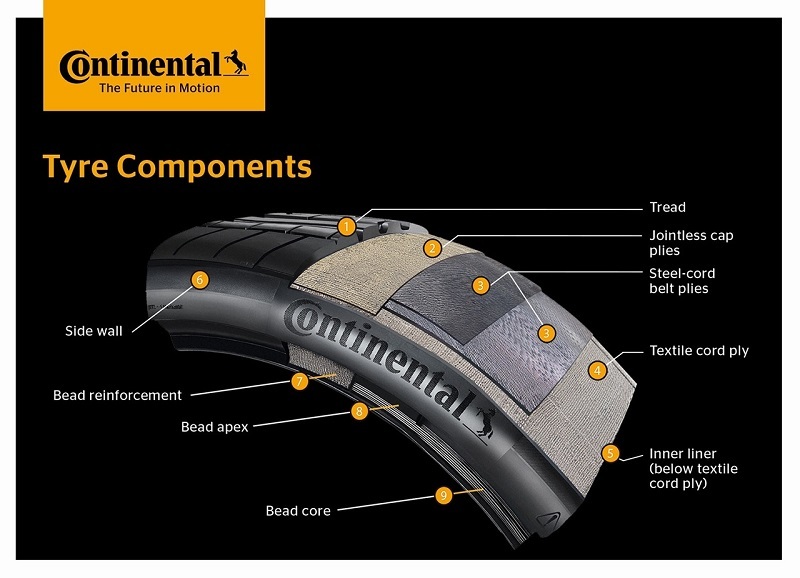 Continental has revealed that so far the partnership has been very productive and has promised that once the technology has been refined, it will be available to other tyre manufacturers under a free licensing concept. Commenting on the partnership, Dr Boris Mergell, who helms global research and development into passenger car tyres at Continental said that one of the key components of Continental’s corporate strategy is to take responsible action in the interest of its employees and of society as a whole. Hence, the company is constantly striving to make tyre manufacturing processes as environmental friendly as possible. Mergell revealed that Continental is planning to incorporate the technology the two companies have worked on incrementally into its tyre production across all segments, as part of a move towards greater sustainability. Continental also intends to make the technology accessible to other suppliers and competitors, thus setting a new benchmark when it comes to adhesion systems. İbrahim Özgür Yıldırım, chief technology officer at Kordsa said that the use of resorcinol and formaldehyde is a major challenge to the tyre industry. He said that Kordsa has been working to eliminate the use of both these products from 2008, as part of its mission to develop better, more sustainable products for future generations. Together with Continental, Korda is all set to make a change in the formula used in the dipping of tyre cord fabrics. The final formulation the two companie shave developed is an eco-friendly alternative to the resorcinol- and formaldehyde-based adhesives that have been used for over 80 years. He went on to express his confidence that along with ContinentalKordsa can make the new technology ready to become the new industrial adhesion system standard for textile reinforcing materials. Continental and Kordsa are hoping that the sustainable nature of the new technology as well as the free licensing concept, will make their collaboration a pioneering role model for the tyre industry. Continental and Kordsa plan on revealing more details about the technology at the Tire Technology Expo 2018, which will be held in Hannover, Germany in February 2018.